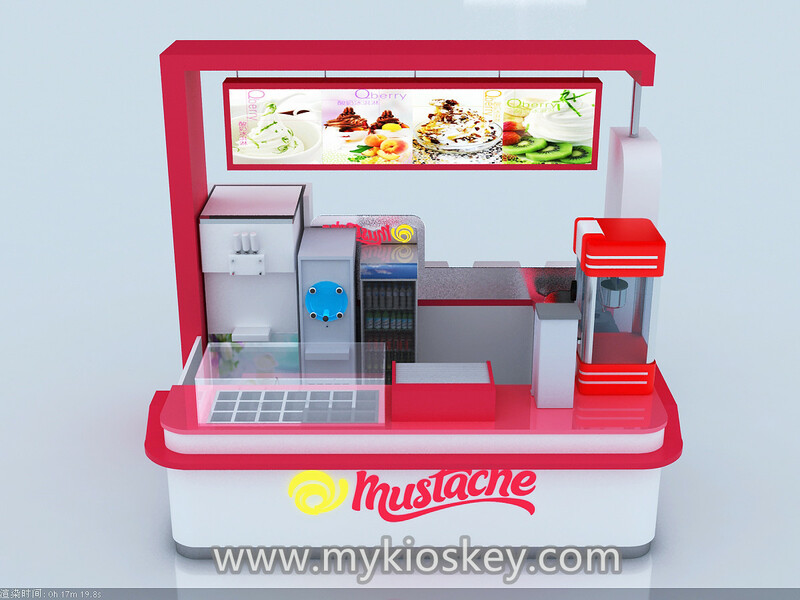 as you see this kiosk front is display area, have a 21 topping, a cashier counter, the right hand side have a sink for clean , the back side have a juice machine, frozen yogurt machine, a refrigerator for storage of drinks, have a bar counter for four seats. it is easy for customer service. on the kiosk left is a door. 3. 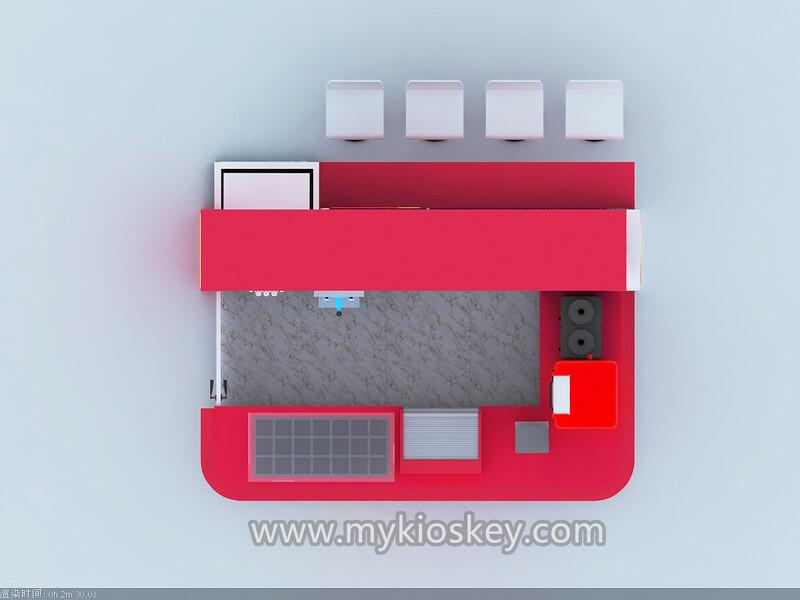 Send the design for your check, if you have anything want to change about this design, we can change it to you for free. 4. 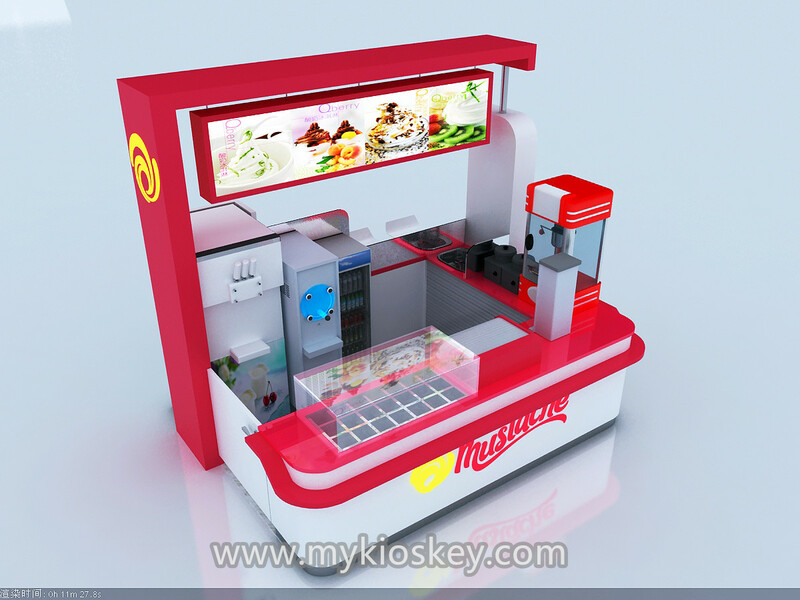 Confirm the design, start drawing construction plan for this kiosk. 5. 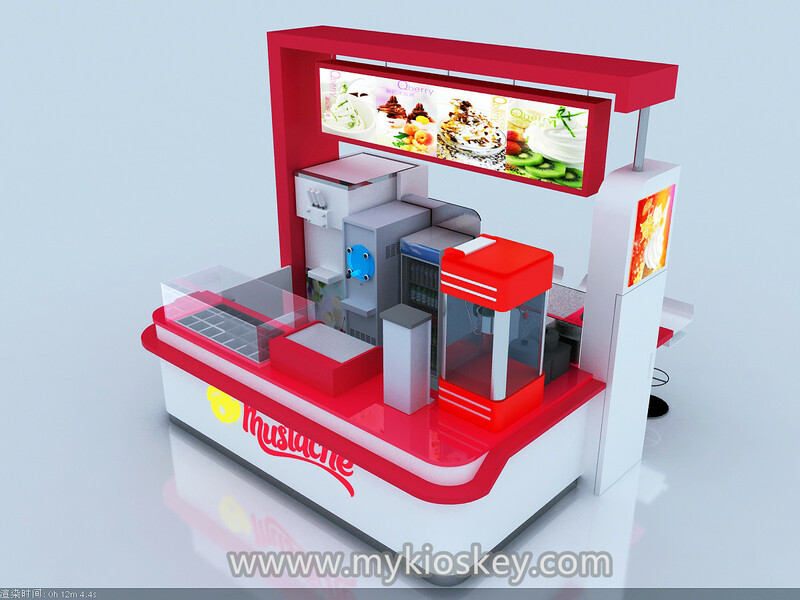 Production this kiosk according to 3 D design and construction plan,. 6. 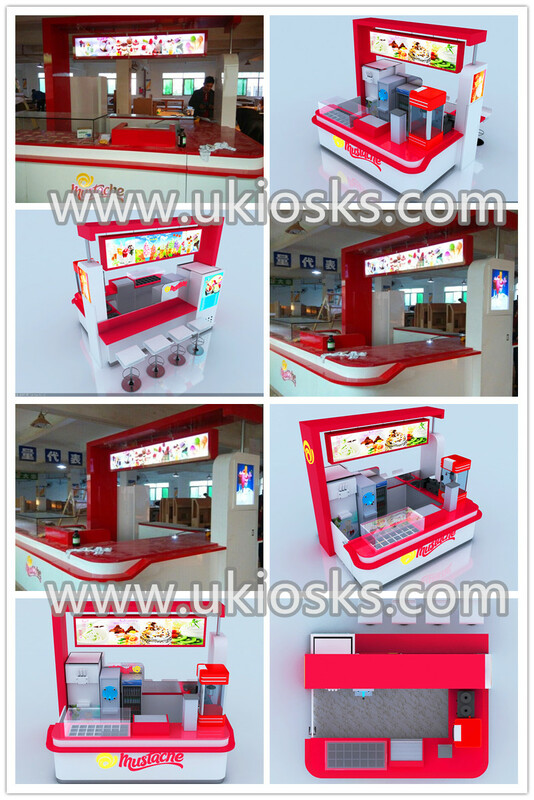 Take finish pictures for your check, then packing and shipment this kiosk to your port. 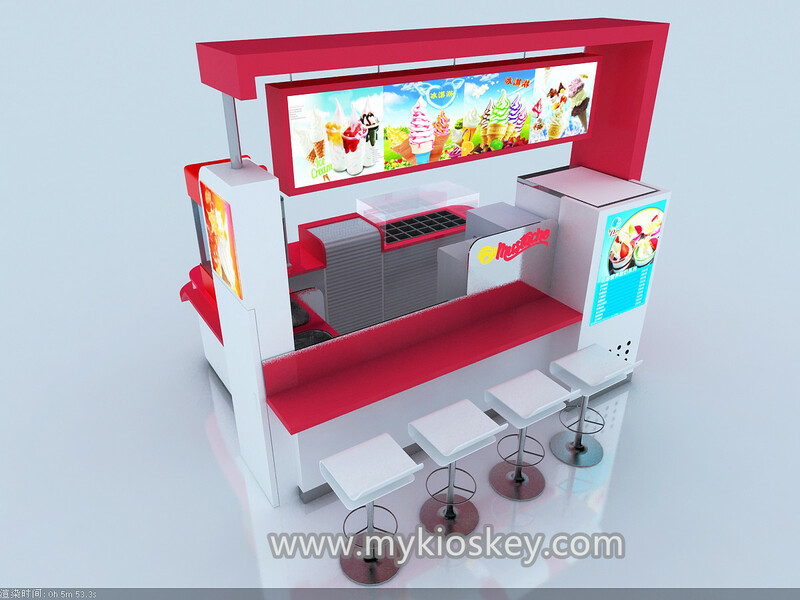 Thanks for your time and looking forward to your inquiry about our food kiosk, if you interested build a ice cream kiosk like this one pls contact me as below.